As you can see from the pictures above, the streets of the Old Town were quite deserted on my way to the cemetery. The quiet reminded me of Israel on Yom Kippur. 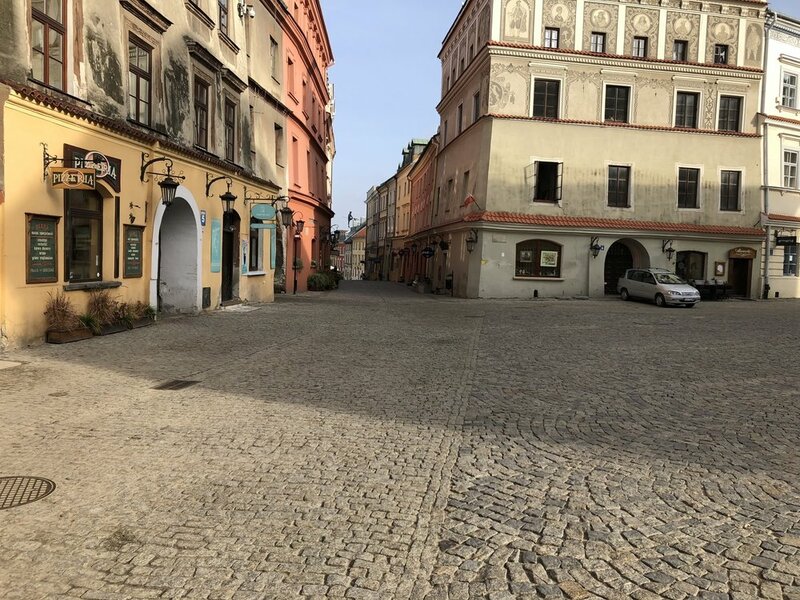 On the way back I walked through the empty space of what was once the Jewish quarter, past the eternal lamp that burns 24/7 in memory of the Jews of Lublin. Later in the day traffic picked up and some cafés were open. I went to the Catholic University to meet my Nigerian friend who was in my Polish class last summer. He is on the road to becoming a priest and a social worker. We like to get together to practice our Polish. No doubt we are reinforcing each other’s errors, but it’s great to be with someone who knows and loves languages as much as I do. I was telling him (in Polish!) how Spanish (unlike French and Italian) only uses “to have” and never “to be” to form the present perfect. He was all excited and ready to start learning (Sorry, I am sure some of you non-language people have dozed off by this point). I found out there’s a Yiddish class at the University I can join, though I fear the advanced class will be too hard and the beginner too easy (they are doing the alphabet). Exciting prospect though—learning Yiddish in Lublin! All-in-all it was a great day. I walked 90 minutes, spent two hours in the cemetery and did a bunch of writing at night. *After checking it seems that it’s unclear where any Jews were murdered on this site during the Holocaust. Of course all of Jewish Lublin, all around this area was destroyed. A whole culture that had thrived for centuries was wiped out. 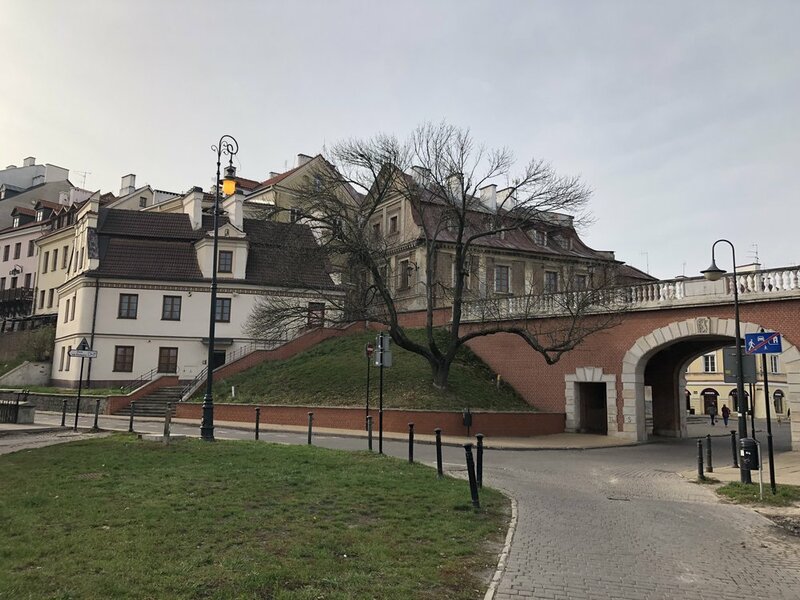 The Polish intelligentsia was shot near the cemetery in 1939, so in that sense there was Jewish and non-Jewish death associated with this place. 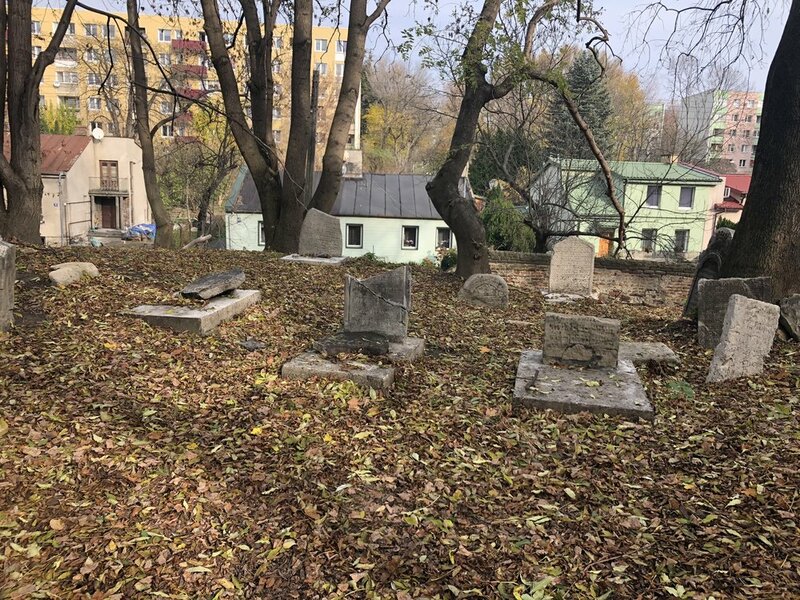 The Old Jewish Cemetery, Lublin, 2018.